Having the right construction management tools can make the difference between a headache and a smooth running business. You may think that the old process you’ve been using will get the job done just fine. Or maybe you haven’t even been using software in the first place and have just been keeping all the data in your head and on scraps of paper. Whatever your process has been, using an effective construction management software program can help grow your business and reduce the headache you may be experiencing from trying to keep every project progressing on schedule. 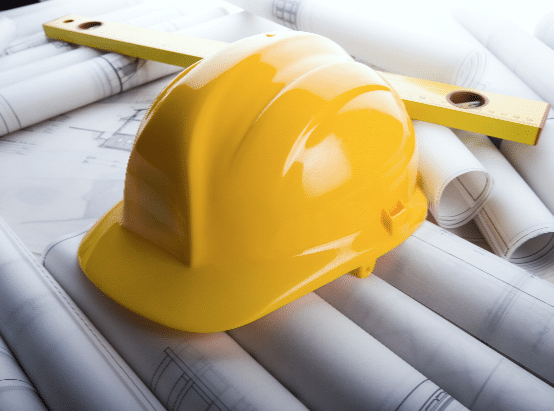 Below, we cover the five best construction estimating software tools and programs, and how they can benefit you and your business. BuilderTREND is one of the top contractor estimating tools on the market today. It is a very effective solution as it combines scheduling, project management, service management, and customer management all in one easy to use platform. No matter the size of your company this software can handle any of your needs (with the exception of companies that earn over $1 billion in annual revenue). Some of the main features of this software are: budgeting, bid management, purchase order management, to dos, daily logs, scheduling, and even product warranty administration. Co-construct is a great solution for contractors who are looking for a web based platform. This software is best suited for smaller construction companies, and eliminates the need for any software installations. This software does a great job of helping businesses coordinate different selections, schedules, and photos. Everything runs through the main web portal. You can have employees, subcontractors, and even clients log in to their own secure portals in which a variety of unique tasks can be performed. For instance, you can track project orders and budgets, share job site logs, update schedules, project timelines and more. Procore is unique in the way their software is distributed. Their model is a subscription service, which means that contractors can pay on a monthly or yearly basis. Procore offers a number of different features, which include: easily managing documents, RFI creation and tracking, contract and schedule management, and more. Procore is used very widely and currently supports over 250 companies. Paskr makes collaboration easy. This software allows you to share project designs and schedules between a key players, such as, architects, subcontractors, and project engineers. The software also enables you to estimate projects and manage every detail of a construction project. Some features include managing contracts, drawing management, project budgeting, and even time sheet management to keep track of employee hours. BuildTools is primarily designed for residential construction firms, and custom home builders and remodelers. The main features of this software includes: scheduling, service management, document storage, budgeting, customer management, messaging that helps to capture project communication, and photo management. The subscription to this software is based on a monthly fee which grants you unlimited storage for your company, clients and subcontractors. We hope you found this overview of construction management tools helpful and you now have a better understanding of which software programs you can invest in, in order to help you improve your internal processes and increase your bottom line. In the complex construction world, it can be extremely helpful to have software that works with you, to help you succeed. For a more comprehensive list of project management and bidding tools, view our Project Management and Bidding Guides today.